So many people assume that a wedding can’t be creative. It’s either got to be a full religious service or a register office ceremony. Or so they think. 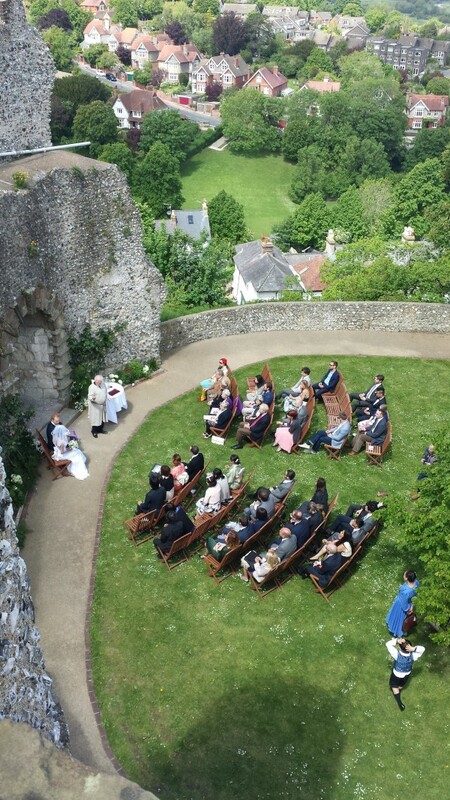 Provided you ensure the legal formalities are complied with, you can have a creative ceremony. What do I mean by “creative”? That’s a huge question. To speak fairly generally, you can hold a fairly traditional ceremony that, to all intents and purposes, looks like the wedding my grandparents would have expected (except that it might not be held in a religious edifice). You may opt for a pagan ceremony or some pagan elements. A handfasting will invoke nature blessings and can be most exciting. Then there are various gradations of religiosity. You could have a few prayers and blessings, some originating from other liturgies or cultures, and of course it might be a humanist-type wedding, with no religious words at all. A Civil Celebrant-led wedding can cover any degree of religiousness, but your choices don’t end there. There’s the tone and language to be used (by which I mean formal or informal), there’s the music to be decided, what readings or poems will be used, and, indeed, whether you want friends or family participating. Perhaps the element that differentiates weddings the most is the choice of ritual. That could be another blog in itself! However, maybe this will give you an idea what I am driving at. Depending on personal beliefs and preferences, you can include rituals from your own or other religions. An East European ritual, for example, involves the couple being presented (usually by a mother) with a loaf of bread. They both bite into it simultaneously, and the person who gets the greater piece will supposedly become the head of the household! One of my favourite rituals normally comes at the end of the ceremony, is pagan, and can bring a smile to everyone’s face. (But it has slave origins, so not everyone will go for it.) 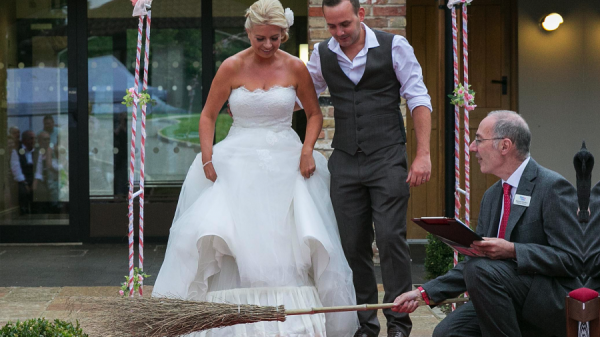 It’s called “jumping the broom” because the couple have to jump together over a besom. 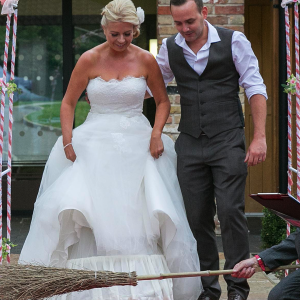 This symbolises sweeping out the old and bringing in the new, as they start their life together. For further suggestions, feel free to contact me!